While court cases and newspapers call out celebrities and high-wealth individuals who face civil or criminal tax investigations, less attention is paid to the people who make those tax mistakes possible. 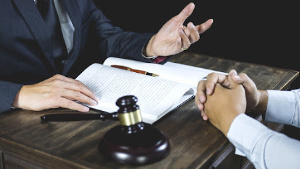 Our law firm provides national and international legal counsel and tax representation to individuals and companies who have questions about an existing or potential tax controversy. We counsel clients about how to avoid tax challenges and provide experienced guidance to those who find themselves in tax trouble. The focus of our legal team is to find strategic solutions whether our clients are facing an IRS civil tax audit or allegations of criminal tax fraud. Overall, our tax lawyers provide the type of counsel that returns our clients to solid standing in the regulatory community. There is, however, an entire business sphere dedicated to enabling individuals and corporations to skirt regulatory requirements or engage in activities that could lead to criminal tax charges. It is possible, but not very effective, for an individual to handle business dealings in a secrecy jurisdiction, or manage a hidden foreign bank account by themselves. In every financial district, there are those who broker and facilitate accounts, money routes, and questionable tax structures. In recent years, a number of these so-called intermediaries have faced prosecutorial heat, including banks, financial institutions and their divisions, tax attorneys and tax advisors. There are also corporate entities largely focused on construction of offshore tax shelters intended to launder or hide money and assets, like the now-defunct Panamanian law firm Mossack Fonesca. These intermediaries are not passive players. As we discussed recently, investment personnel within banking giants like UBS and Credit Suisse have been involved in the solicitation of offshore business to high asset individuals and corporations. While the US Internal Revenue Service (IRS) has pursued penalties against large financial institutions for their role in brokering tax fraud, it remains to be seen how that pursuit will play out on a global stage in the future. When you seek to protect and grow your wealth, always work with legitimate tax attorneys and financial professionals who have your legal best interests in mind. The law offices of Robert J. Fedor, Esq., LLC offer straightforward, experienced counsel and representation on offshore tax interests and avoidance of IRS criminal tax investigations. If you become involved in a criminal tax matter or receive a notice of tax audit, contact us online or call 800-579-0997.